For a country whose per capita consumption of wine is a mere 9 milliliters per annum compared to the global average of 4 litres, India has a thriving wine industry. There is a constant refrain one hears even from Indians that our wines are not good which is a far cry from the truth. In fact a lot of Indian wines are superior in taste and are better value for money than some of the entry level low quality fare, both from the Old & New World, which is flooding the Indian market. 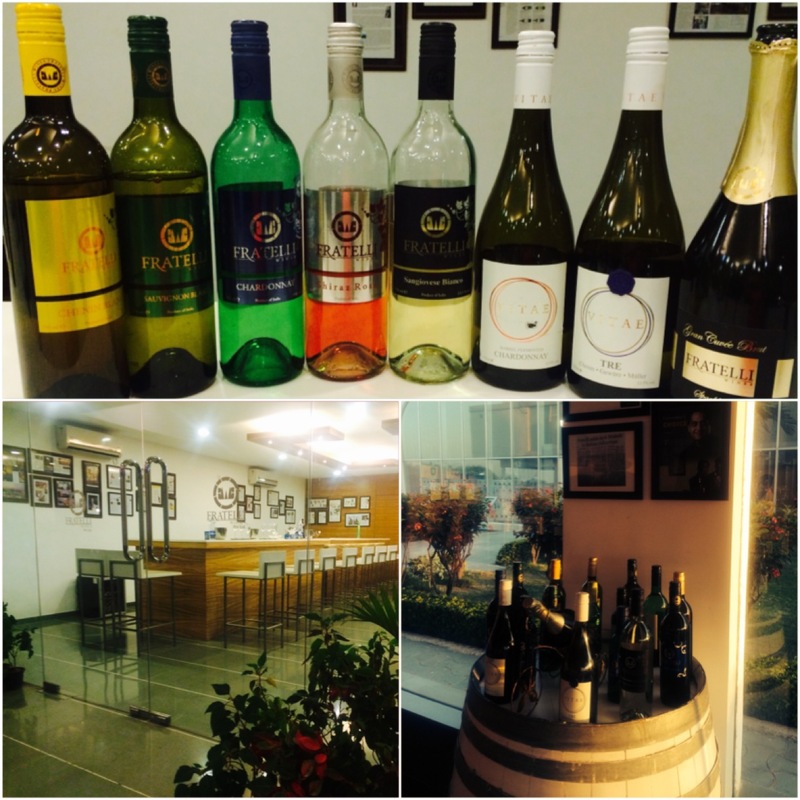 Many Indian wineries are producing good quality premium wines and one of them is Fratelli. I got a chance to visit Fratelli Wines in Akluj, 170 kms from Pune in Solapur district of Maharashtra and see for myself the state of the art winery, beautiful vineyards and taste some of their premium wines. Fratelli Wines has come a long way within a short span of time, a little over four years to be precise, as it was only in October 2010 when its first vintage was launched in the Indian market with just three wine labels. That number has now gone up to 28 labels (of which 6 include the imported range) encompassing twelve varietals like Chenin Blanc, Chardonnay, Sauvignon Blanc, Cabernet Sauvignon, Cabernet Franc, Merlot, Shiraz and all major international styles. It isn’t merely a matter of numbers. Fratelli has managed to carve a niche for itself in the Indian wine industry and is now catching the attention of the world because of the quality of its wines. An Indo-Italian collaboration, it was the first to experiment with growing the Italian varietal Sangiovese on Indian soil, under the aegis of Piero Masi, the famed Tuscan viticulturist and winemaker. Not content with making just a regular red wine Sangiovese, Piero Masi experimented with making a still white wine Sangiovese Bianco from a red grape varietal, a process which requires great expertise. Fratelli is also a pioneer in making a zero dosage sparkling wine Gran Cuvée Brut from 100% Chenin Blanc, putting to rest the general misconception that most Indian sparkling wines are excessively sweet. 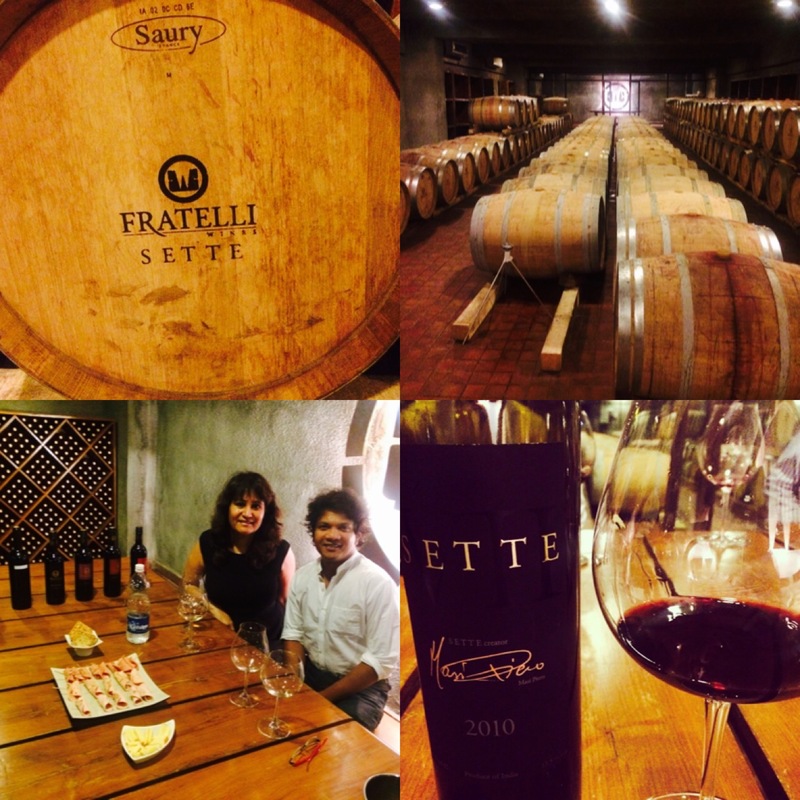 While zero dosage is a popular trend abroad, no winery in India has tried it before Fratelli. Dosage or “liquer d’expedition” is basically additional sugar added to champagne and sparking wines after disgorgement and before final corking to balance the acidity. Sparkling wines sans dosage or undosed are said to have better minerality and are supposed to be more expressive of the terroir as they reveal the complexities of the wine without masking it with sugar, though the last word is still not out on this one. It is the only winery to plant Gewürztraminer in India. This and another cool climate varietal Muller-Thurgau is used along with Chenin Blanc to produce a single vineyard blend VITAE TRE. Then there is a barrel fermented Chardonnay VITAE, the usage of oak resulting in a wine with a firm structure and a creamier, rounder finish. Coming to their flagship and most prized wine SETTE, a blend of Sangiovese & Cabernet Sauvignon with a small percentage of Cabernet Franc. It is matured in French oak for 14 months and is an Indian wine with good ageing potential. With three vintages released so far 2009, 2010 & 2011 SETTE is garnering appreciation both from customers and critics alike. Alessio Secci, one of the co-owners of Fratelli wines goes so far as calling it a “Super Indian” on the lines of a Super Tuscan on which SETTE is modelled. One of the reasons why Fratelli is producing wines of such good quality and consistency is that all its 240 acres of vineyards at Akluj, spread over three sites Motewadi (where the winery is located) Nimgaon & Garwad are estate owned. The advantage of using grapes sourced only from their own vineyards is that since they can directly supervise cultivation, strict quality control is maintained, harvesting is done at optimum ripeness and grapes are picked, transported and crushed in the shortest possible time. They say that “wine can be no better than the grapes from which it is made”. Hence estate wineries always produce the finest wines. 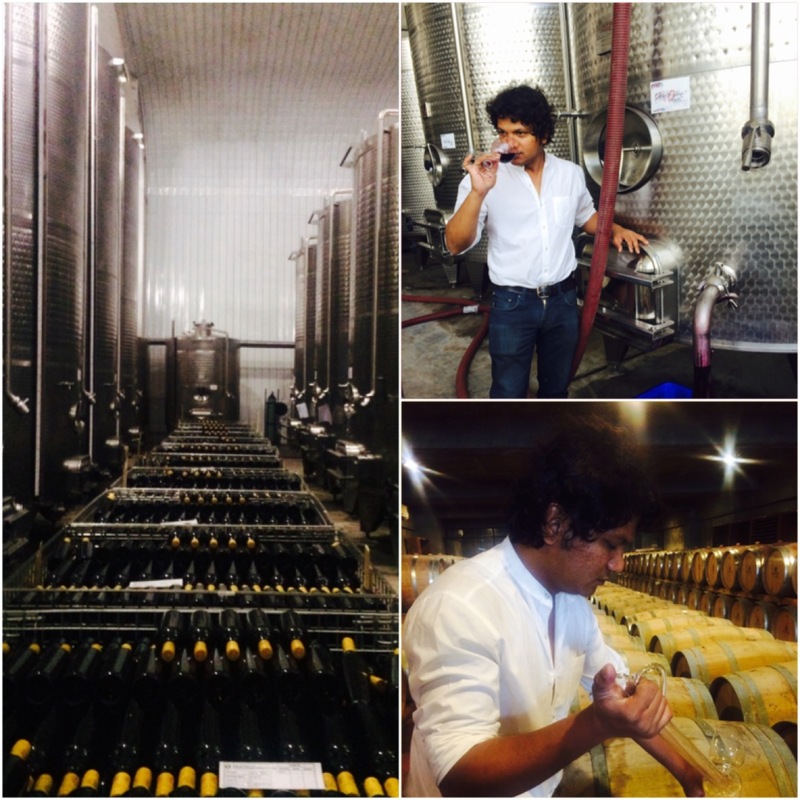 Vrushal Kedari, Assistant wine maker at Fratelli Wines, a graduate of oenology from Napa, whose passion for wine is matched by his knowledge. In the field of wine tourism too, Fratelli Wines is making a mark as it is one of the few wineries which offers accommodation in a vineyard setting, even though it is only limited to four aesthetically decorated rooms. 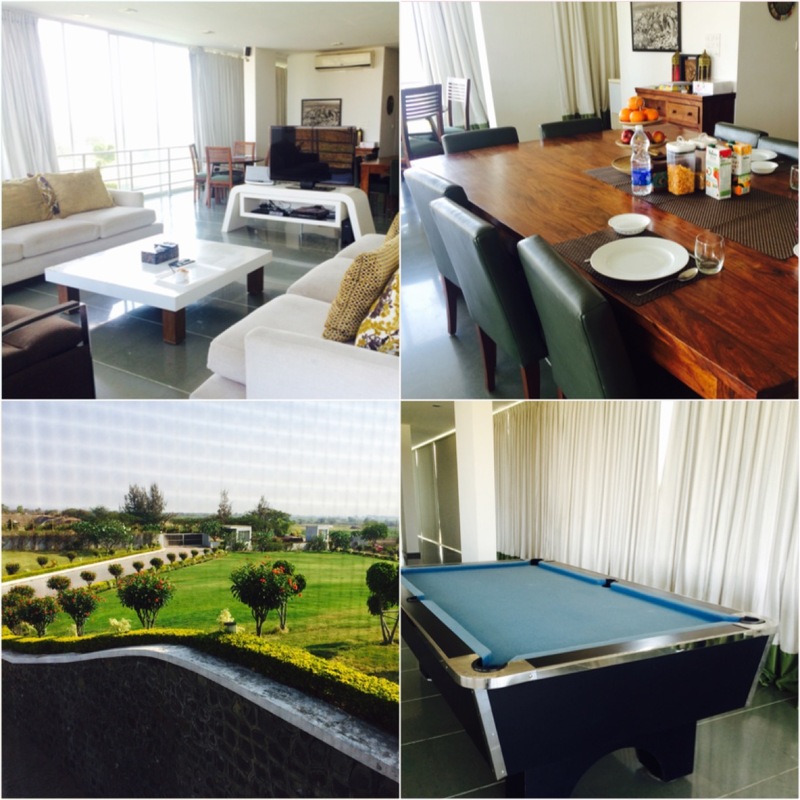 There are various packages like day visits, weekend getaways, Rejuvenation and Rent-a-vineyard packages. Meals are provided on prior order and guests staying at the facility can even try their hand at cooking in the open kitchen which offers a panoramic view of the vineyards. There are two tasting rooms, one modern facing the imposing winery and the other more traditional located in the cellar room amidst oak barrels. Wines can be purchased at discounted prices and there are souvenirs like wine glasses, wine openers, carry bags and coasters which can be bought. 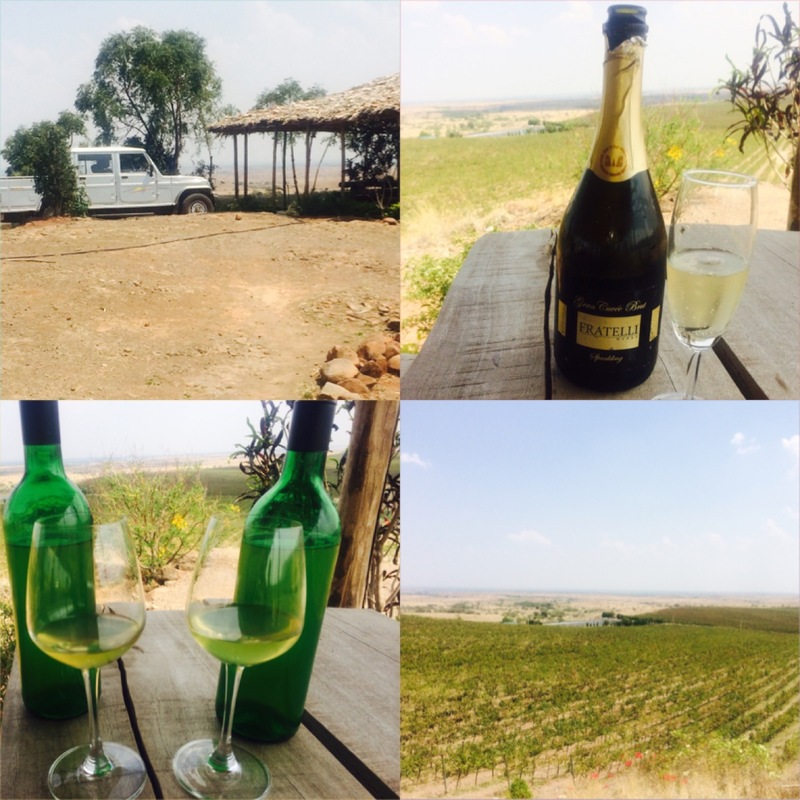 A short 15 minute drive from the winery at Motewadi is Syrah Hut which overlooks the vineyards at Garwad. Wine tasting option is offered at this breathtakingly beautiful and serene locale. It is really encouraging to see Indian wines making inroads into foreign markets and Fratelli is no exception. It has a presence in USA, UK, Japan, Hong Kong, Italy and Netherlands. 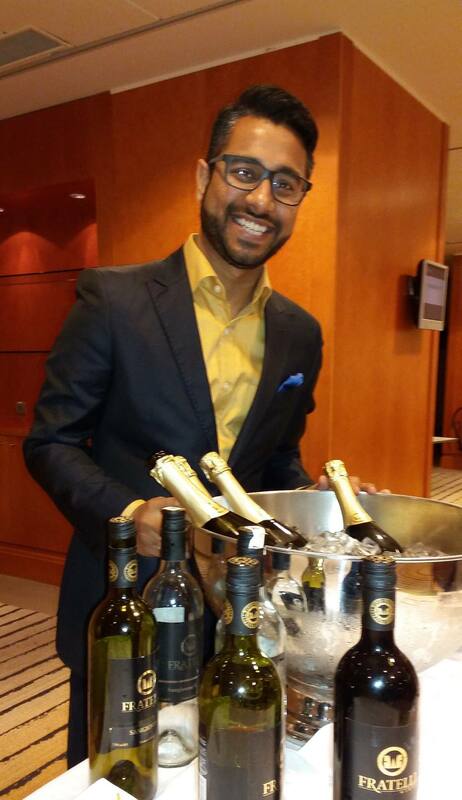 Just last week Abhishek Haryson, Senior Manager Corporate Communication and Marketing conducted an exclusive tasting session of Fratelli wines for top Swedish business and travel community members at India Unlimited in Stockholm Sweden at the behest of Indian Ambassador in Sweden, Banashri Bose Harrison. At the end of the day it is all a question of changing the mindset about Indian wines, first among our own people and then abroad, that wines from India can match international standards in terms of quality and pricing. Fratelli Wines is doing just that. ‹ Guppy by ai : Summer Menu to beat the heat. Really interesting, did not even know there are wines from India. I just learned something today. India is making some very good wines Fabio Chiozza. Am glad you enjoyed reading my article and learnt something new.